Musician's Friend Coupons - April 2019 - Up To 25% Plus Free Shipping Deal! Up to 25% off select items! Click through, use the code, and see how much you get off - up to 25%! Jam on select acoustic guitars for up to 20% off! Is your favorite acoustic guitar on sale? Come in and find out! Spend $89+ and get 10% off and free shipping! Qualified orders over $89+ get an extra 10% off (max $500 discount)! Save up to 15% off Gibson guitars! Gibson guitars barely go on sale so check out this discount now! Looking for a Fendor guitar? We got the deals here! You have to buy to find out your surprise! Great value on certified open box gear! Nothing wrong with these items and you save a lot more! Learning on a budget? $130 for the Yamaha F335 Acoustic Guitar. Save $30 on a great beginner guitar - with free shipping! Qualified orders over $89+ get an extra 10% off (max $500 discount) + FREE SHIPPING! Limited Edition, while supplies last! Incredible high end gear that's gone when it's gone! Look now! Tired of the kids using pots and pans? Junior Drum Seat at a great price! Musician’s Friend is a family-owned online retail company based in Westlake Village, California. Rob and DeAnna Eastman founded the company in 1983 and operated out of their garage. They later relocated the company’s headquarters from San Diego to Southern Oregon. With two call centers located in Indianapolis, Indiana, and Salt Lake City, Utah plus its largest store based in Kansas City, Musician’s Friend operates multiple outlets throughout the US. In 2014, Musician’s Friend won a record eight awards including Dealer of the year awards by TASCAM, CAD, Nord, and Hanser. Musician’s Friend is accredited by Better Business Bureau (BBB). You simply pick the products you like from the simplified categories. Your selected items will be placed on your cart. Once complete, you select your preferred method of payment. The payment options include MasterCard, American Express, Visa card, PayPal, Discover, JCB, and UnionPay. Musician’s Friend Platinum Card option allows you a financing option of ordering for your desired product and the repay for a period of up to 48 months at 0% interest, subject to terms of payment. This is an offer available for a limited time period. You need to give your specific address where the products will be shipped to. You can place your orders via email or phone call as well. To inquire about the price of an item whose price is not indicated, you can call through +1-801-501-8110 for assistance. You may check the status of your order by selecting the “order status” provided as the second item from the top right corner of the screen. 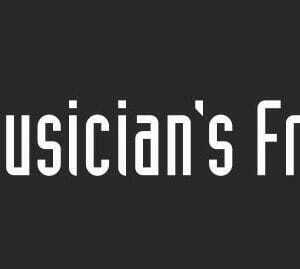 Musician’s Friend has discounts and promotional offers on selected products from time to time. On its website, the company’s coupon code is provided on top of the screen. You must enter the promotional coupon code During the normal checkout process. You may find special offers and discounts on “clearance sales” and in the “Hot Deals” sections. Musician’s Friend has interactive customer support options including email, Instagram, LinkedIn, Twitter, Facebook, Pinterest, YouTube, and telephone conversations. If you have any question regarding their products or need help with the ordering or returning process these means of communication can be valuable to you. Customer service telephone number is 877-880-5907. You may also obtain helpful information from the FAQs page on the Musician’s Friend website. Live Chat interaction is also available to customers seeking help. You can download the Musician’s Friend mobile App from Google Play. Subject to limitations, you are free to return a product you are not happy with. You should return the eligible goods within 45 days from the date of order in their original condition. What you need in order to return the items are a Return Merchandise Authorization number and the original invoice. Return items must include the original packaging, should not have been used or bear scratches/ damages of any nature. You will be given a refund less shipping and handling fees. Your refund will be processed within 2 business days and paid through your chosen payment option. Stringed musical instruments costing over $1999.00 must be returned within 10 days from shipping date. Apple products, items on clearance sale category, downloadable electronic products or software, demo gear, vintage instruments, and discontinued goods cannot be returned. Products marked as non-returnable are not eligible for return as well. Please note that some products such as brass and woodwind instruments will be charged a sanitization fee of $10, while others (e.g. bows) incur a restocking fee deducted from the refund. Remember to read the shipping package for some information on the product return policy. Defective CDs, software, DVDs, videos, books, and vinyl records will only be eligible for exchange. However, credit refund will be accepted only if the products are returned in the original sealed packaging.